27th May 2014, almost 2 years after first reveal Watch_dogs finally launched (in the UK anyway) And I made sure I got my copy on launch day. Now this isn’t a review, but more of a Impressions so far write up for you. Having played it for just shy of 6 hours last night and getting to grips with it we’ve already got a few views and thoughts on it. We’ll be sure to update with more as we progress but as a starter here’s a few discussion points. So the first thing that struck me is that given this is running on my PS4, the open world environment really isn’t that much of an upgrade or step up of GTA5 when running on my Xbox360. The cut scenes of course are rather impressive and the character models are great, but actually playing in the free roaming environment I can’t help but feel that watch_dogs is only on par with last generations GTA5. Speaking of free roaming my first experience with a car and driving was a bit of a disaster. I’m trying to do good in the game and avoid civilian casualties as much as possible. Within a few minutes of my first drive I’d injured a fair few law abiding citizens of Chigaco. It get’s better though, I think it’s more so a case of getting used to the mechanics as eventually I was able to weave through traffic. Without spoiling one of the missions later on involves chasing someone down and taking care of them. Again comparing to GTA in missions like this you had the freedom to shoot out of your vehicle window at the target to damage their vehicle. So far I’ve not been able to do this which was a bit frustrating. However given the numerous ways to hack the environment around you, you can still catch targets by raising bridges, or turning all the traffic lights green to cause traffic pile ups. So the hacking makes up for the lack of shooting. It may come across rather negative, but I have genuinely been having a blast with it so far. I’ve just completed Act 1 and taken part in a few side missions and enjoyed the game play so far. The different side missions and tasks are fun. It reminds me alot of Infamous Second Son in terms of the side tasks and jobs that there are available in each district. And the destroying of cTOS towers unlocking the additional items is again very reminiscent of Infamous. One thing I’ve really enjoyed is that the city of Chigaco seems to be incredibly lively and the citizens all appear to have something to do. I’ve pulled up to a street and see 2 guys having a rap battle, another time I’ve seen some one kicking a football. And I like that Ubisoft have tried to give what seems like each individual some small back story when you hack them whether it’s they’ve dropped out of college or are hypochondriacs it’s still very cool. I’m very much enjoying it, and the hacking is fun, but so far in terms of best PS4 experiences Infamous still stands out for me. 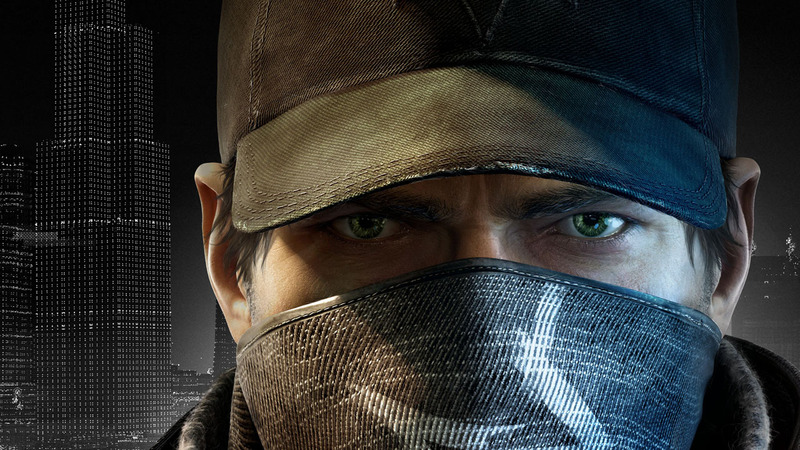 But hey I am only 6 hours into Watch_dogs and plan on plowing many more into it, so that could change rapidly. I just wanted to add my 2 cents as well. I’ve not played it for as long as Murr, but had a couple of hours to get a feel for it. Like Murr I found the driving a little awkward at first, but I’m getting used to it now. Chicago does feel alive, every street corner has someone on it, maybe having a conversation with someone, or begging for change. If you head down an alley, there maybe a couple of people playing football. It gives the city a nice sense of being alive. So far the hacking has been good. I wondered how awkward it might be to do at first, having to look around at things to hack whilst moving at speed. But its pretty simply. Just look in the direction of something hackable, and hold down X. The first mission gets you used to the hacking, and one part involves a bit of a car chase. I will say it was very satisfying to time a quick traffic light change in order to stop the police and seeing them pile in to a group of cars, effectively ending their chase. On the multiplayer side, I only got to try a little bit of hacking. First it was my turn to try and hack in to someones game whilst they hunted me down to try and eliminate me. I got to about 95% before they found me. Essentially what you have to do, is locate the player, target them, and then start to hack them. But you need to remain inconspicuous the whole time, and try to blend in with the world. It was good fun trying to blend in to the crowd. I decided to walk slowly down some alleys, and had my opposing player run past me not noticing me at all. Then I hid in a car, where I was eventually found and killed. Then it was my turn to be hacked. You get an area pop up on your map, marking where the hacker might be. You then need to scan the crowds to see if you can identify them. Check out the video to see how it panned out for me. Like Murr, I’m really enjoying it so far. But also feel it could do with a little more polish, but that’s only a very minor point. At this point, I just want to go home and play it.